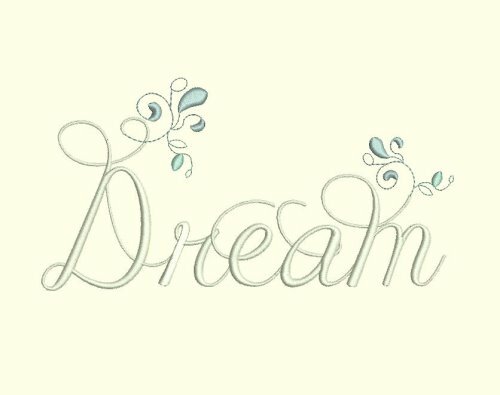 Dream - Inspirational Word Art - $3.99 : Fancy Fonts Embroidery, Home of the ORIGINAL Trendy Dots Font! For the 5x7 and 6x10 hoops. These beautiful, inspirational word art designs were created with pillows in mind, but would also be perfect for linens, blankets, bath, framing and home décor.